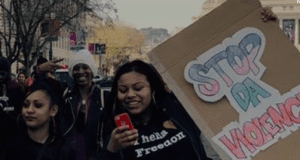 The Young Women’s Freedom Center in California fights for the rights of system-involved girls. As the NoVo Foundation gets into its grantmaking from the $90 million in funds established to support young women and girls of color, one of its first big grants will go to help young women and girls of color involved in the juvenile justice system. In this new grant move, the Young Women’s Freedom Center will receive $615,000 over three years. These funds will enable the expansion of its work to “reduce the incarceration of young women, challenge out of home placements, and limit the power of juvenile probation departments,” according to a press release announcing the grant. In addition, the Young Women’s Freedom Center also plans to organize town halls throughout California, and participate in policy advocacy on the state and local levels. Sounds like this group might end up collaborating with Stronger California (if they aren’t already), another organizing effort to put gender equality into legislative action. In committing to work with Young Women’s Freedom Center, the NoVo Foundation is carrying out part of its mission to empower young women and girls of color across the country. 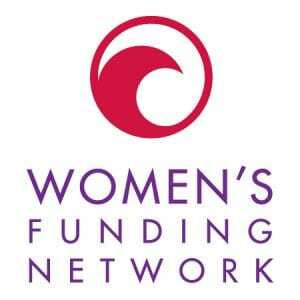 Other announcements about the strategy of its grantmaking include a recent announcement that NoVo will primarily support the US Southeast in its efforts to address the disparities faced by women and girls of color. With this grant, however, NoVo is demonstrating that although it is enhancing its efforts in the Southeast US, it is still making major commitments in other parts of the country, such as California. These efforts in California might pay off in terms of legislative gains that can later be applied to other states that are further behind in empowering young women and girls of color. As part of this new effort, Young Women’s Freedom Center will get $205,000 in general support over three years to cultivate leadership and increase advocacy efforts of young women and girls who have experienced inter-generation impacts of poverty, violence, addiction, incarceration, and systems involvement. It will focus its work around reducing the incarceration of young people, challenging out of home placements, and limiting the power of juvenile probations departments. Young Women’s Freedom Center will create a Bill of Rights for young women and girls around these issues, organize town halls throughout California, and issue local and state policy recommendations intended to stem the cycle of young women who are pipelined from poverty to incarceration and systems involvement. In addition, it will also conduct long-term research to determine the needs of system-involved young women who are being pushed out of the Bay Area, which has been heavily impacted by gentrification. The young women the organization works with will lead all of this work.